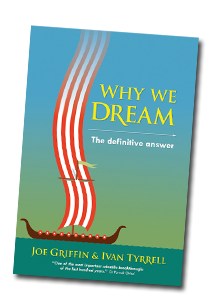 If you've found the information on this website interesting and would like to read in detail about the expectation fulfilment theory and Joe Griffin's research, including lots of dream examples, interpretations and explanation (including all references) click here to order Why we dream: the definitive answer online. The Human Givens Institute website contains a growing archive of information and articles on topics covered in this website. For more information on depression specifically - visit the lift-depression.com website, a site dedicated to lifting depression from the Human Givens Approach. Links to other sites - We accept no responsibility for the content of external sites.